With summer right around the corner, what better way to beat the heat than with frozen yogurt? Especially when that frozen yogurt is high protein, low sugar and low calorie. We are so excited to introduce you to Kemps’ new product, JoyFULL Scoops Frozen Yogurt. 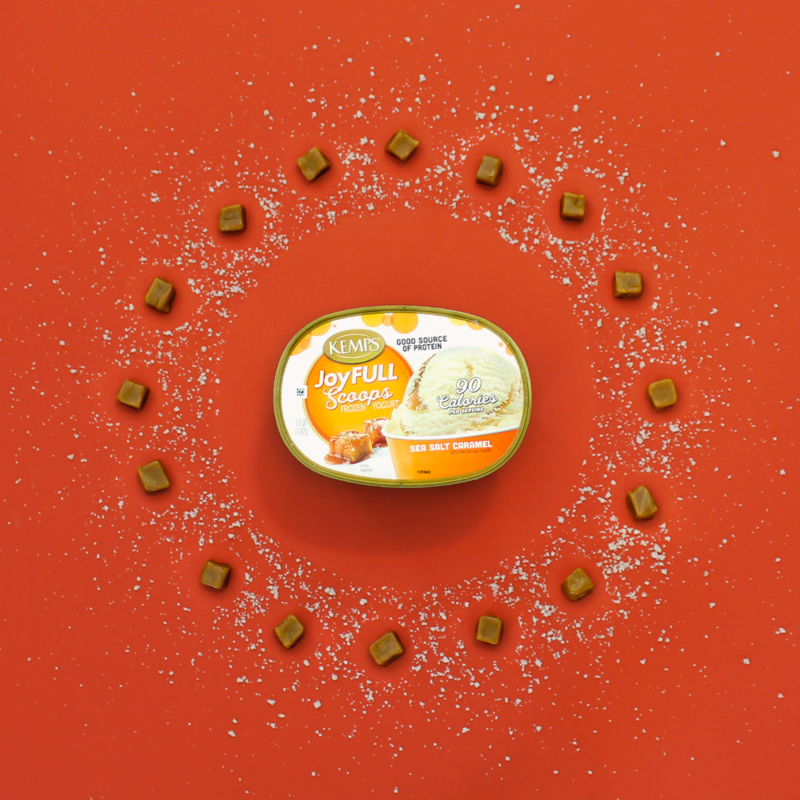 JoyFULL Scoops is a guilt-free frozen treat we know you’re going to love! JoyFULL Scoops uses a frozen yogurt base with a richer, creamier texture. It’s a good source of protein, has less sugar compared to the average leading ice cream brands and comes in at 90-100 calories per serving. JoyFULL Scoops is made with no artificial flavors, artificial growth hormones, high fructose corn syrup or colors from artificial sources. We also love that it comes in a 48 oz. container which equates to three pints — perfect for the whole family to enjoy! 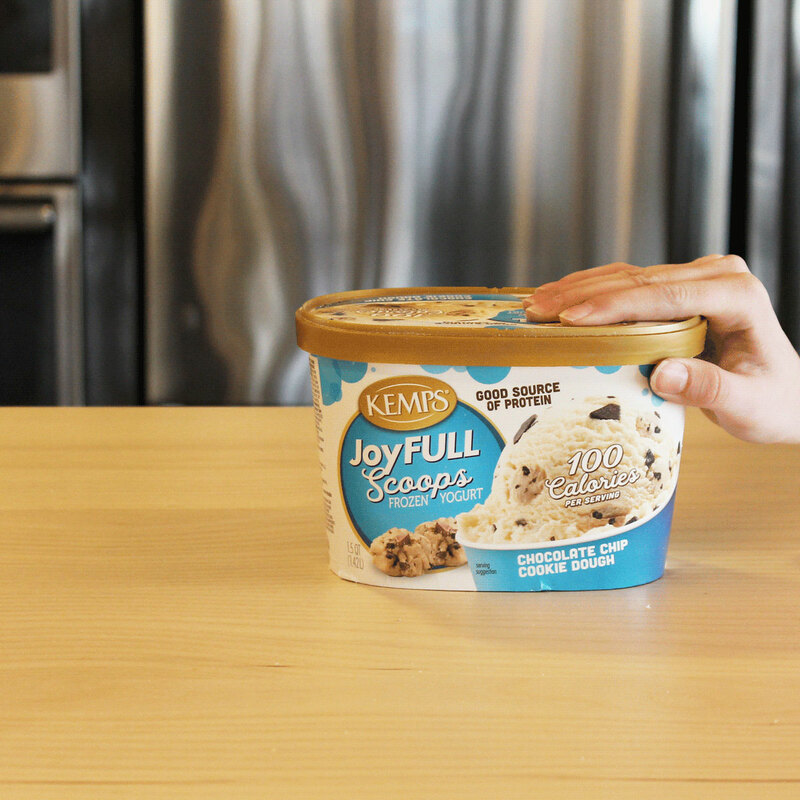 JoyFULL Scoops comes in four delicious indulgent flavors. Which one are you excited to try? Try using Kemps JoyFULL Scoops Frozen Yogurt in these sweet treat recipes! Add a scoop of the Peanut Butter Chocolate to a glass with some root beer for a delectable float! Whip up a batch of these Dark Chocolate Avocado Brownies and serve with a scoop of the Mint Chocolate Chip. Top a scoop of the Sea Salt Caramel with these Cinnamon Baked Bananas! Serve this Peanut Butter Skillet Cookie with a scoop of the Chocolate Chip Cookie Dough.